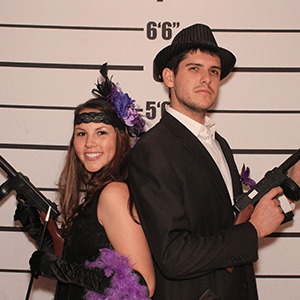 Make The Murder Mystery Co. in Austin your partners in crime when planning your mystery party, and you can’t go wrong! Our mystery experts come right to your you and provide the best mystery entertainment around! 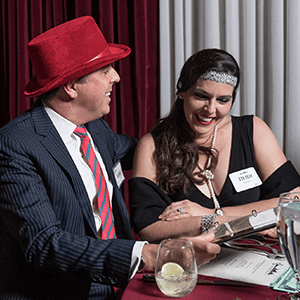 Live-action murder mystery parties are Austin's most unique and engaging way to entertain for privately hosted events. 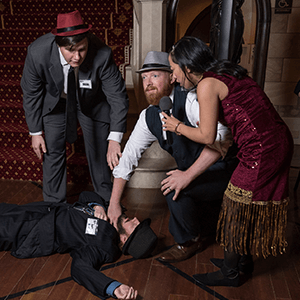 The Murder Mystery Company is Austin’s Expert in Mystery Entertainment. 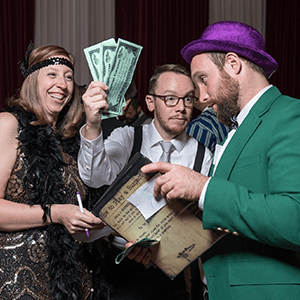 Throw the coolest party in the hottest city with The Murder Mystery Company in Austin. Plan your next party with us, and make it easier than getting away with murder! We provide two hours of killer entertainment at your private event for any occasion, and at any venue, including your home. 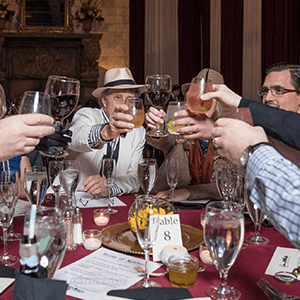 Enjoy a thrilling party with your guests where you become sleuths and suspects and solve a crime with our mystery experts! The Murder Mystery Company was so excited to be able to add Austin, Texas to our list of 24 states that are now hosting mystery, intrigue, and murder at their events! 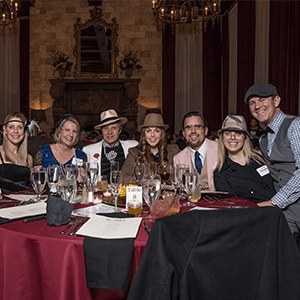 With over 300,000 guests per year and 45 public show venues, we share our love of Clue style mystery games in every crime scene. Now we want to solve a murder with you in Austin! Our mystery experts of Austin are fully armed with the knowledge that when you choose them to entertain at your private event, you will get nothing but the BEST entertainment they have to offer! How are they so sure, you may ask? They have been trained under the GRIMprov Method of acting, of course! Now the only question left to ask is, whodunit? Can you figure it out?